National Producer Number (NPN) 17616830 NY Producer License TLA- 1403135 Title Closer - Mobile Notary Licensed NY Title Insurance Producer and NY Notary Public www.716Notary.com Cell: 1-716-998-5475 Office: 1-716-404-4140 Ext. 1 Toll-Free: 1-888-256-1404 Ext 1 Text: 1-716-989-0599 [email protected] Purchase and Refinance Closings remotely at your clients' locations, or the County Clerk's Office or in my Title Office. Over 10000 signings representing national and local clients. General Notary and Filing assignments also welcome and accepted. Areas Covered: By zip code: 14004, 14006, 14010, 14025, 14026, 14027, 14033, 14034, 14035, 14043, 14047, 14052, 14055, 14057, 14059, 14061, 14069, 14080, 14081, 14085, 14086, 14091, 14102, 14110, 14111, 14112, 14127, 14139, 14140, 14141, 14150, 14151, 14168, 14169, 14170, 14201, 14202, 14203, 14204, 14205, 14206, 14207, 14208, 14209, 14210, 14211, 14212, 14213, 14214, 14215, 14216, 14217, 14218, 14219, 14220, 14221, 14222, 14223, 14224, 14225, 14226, 14227, 14231, 14233, 14240, 14241, 14260, 14261, 14263, 14264, 14265, 14267, 14269, 14270, 14272, 14273, 14276, 14280 By community: Akron, Alden, Angola, Angola on the Lake, Arcade, Attica, Billington Heights, Blasdell, Buffalo, Cattaraugus, Cheektowaga, Clarence Center, Corfu, Delevan, Depew, Dunkirk, East Aurora, Eden, Elma Center, Farnham, Forestville, Gowanda, Hamburg, Harris Hill, Holland, Kenmore, Lackawanna, Lake Erie Beach, Lancaster, Lime Lake-Machias, Niagara Falls, North Boston, North Collins, North Tonawanda, Orchard Park, Perrysburg, Rapids, Silver Creek, Sloan, South Dayton Buffalo New York Mobile Notary. We have worked with a wide variety of Title Insurance Companies and Attorney's and have acted as the signing closing agent in refinance, purchase and sale transactions as large as $22,000,000.00 as well as in transactions for individuals notarizing simple Power of Attorneys. In addition to domestic matters such as Real Estate Closings, I9 verifications, Hospital and Nursing Home Notarizations, Medical Records Verification, and Attorney Personal Injury and Class Action Intake Signings we have assisted in International Matters by providing Mobile Notary, Document Authentication, Document Legalization and Apostille Services for Documents bound for use in other countries. We have even assisted a law firm in Singapore to obtain a notarization on particular size paper (A4) for use in that country. We have a wide variety of experience providing specialized and unique signing services as well as time sensitive signing services for many types of professionals in different types business situation in many different states and countries. Lastly, we have significant experience providing residents of Ontario Canada with Notary, Apostille and Document Legalization services in the United States and Foreign Real estate, Business and Litigation matters. Often times Residents in Ontario Canada travel 100s of kilometers to utilize our services because we are dependable, punctual and we stand behind our services 100% both before and after the job is done. Please see our website for particulars and our reviews on 123Notary. We handle your files that need special attention and we make you look like a superstar to your clients and business contacts at home and around the world. Fully insured, skilled and professionally groomed. 123 Notary and NNA Closing Agent Certified, NNA Background Screened, $100,000 E & O insurance. 8. Application and Refi. Together. 9. Oil Gas Leases and or Misc Real Estate Documents. CEMAS - $175, Standard Refis. - $150, HELOCS - $100, Structured Settlement Contracts - $150, Applications - $125, Reverse Mtg. - $150, Sellers Packages - $100, Applications and Refi. Together $200, Add - $25 for Fax Backs, Extensive milage, Large Refi Packages International Customers from Canada and split Signings. We will require prepayment from new customers with negative payment reviews on Notary Sites, New Business we have not worked with or alternatively in our discretion. 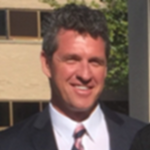 New York Licensed Title Insurance Producer. Can offer title commitments, collect tile curatives and bind coverage at closings. Also a New York Licensed Real Estate Broker. 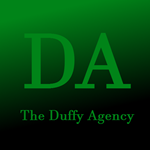 The Duffy Agency also offers tax advice and consulting as an IRS Enrolled Agent. I have access to professional conference room facilities when appropriate and also can close at the Erie County Clerk's Office if necessary.